Visual art, video arts, new media, Indigenous media art; video art; representational politics; digital photography; interactive documentary. Stephen is currently an Associate Professor in the Creative Studies Dept. and is the Director of the Summer Institute for Interdisciplinary Indigenous Graduate Studies at the University of British Columbia – Okanagan. 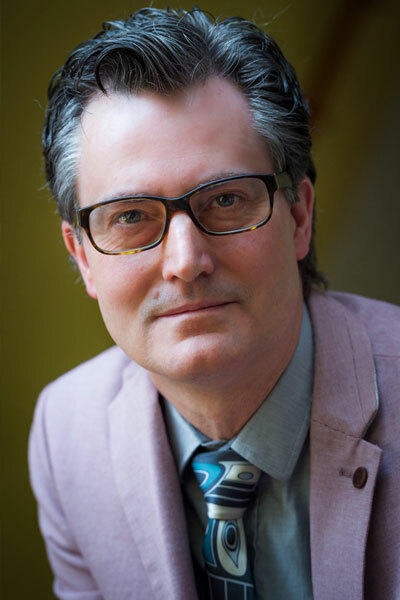 He is also the coordinator of the CanWest Global Centre for Artists’ Video and instructs courses dedicated to video production, digital media and visual and cultural theory. Stephen Foster is a video and electronic media artist of mixed Haida and European background. His work tends to deal with issues of indigenous representation in popular culture through personal narrative. He has exhibited in solo as well as group exhibitions both internationally and nationally as well as participating in various festivals with video installations and single channel works. In 2007 Stephen received his first opportunity to present a retrospective screening of his video work at the Dawson City International Short Film Festival. In addition to his exhibition record, Stephen is a published author, presented lectures and has participated on panels for new media, video art and contemporary indigenous art at national and international venues. He has taken part in residencies at the Banff Centre For The Arts, Klondike Institute of Art and Culture, Oboro in Montreal and more recently at La Chambre Blanche in Quebec City. Stephen holds two college diplomas, as well as a BFA and a MFA. For his Masters of Fine Arts degree at York University he received the Master’s Thesis Prize, one of three given University wide, for his thesis exhibition and support paper entitled ‘Behind a Sheet of Glass’. More recently, Stephen was awarded a large Research/Creation Grant from the Social Sciences and Humanities Research Council of Canada for exploring interactive and experimental approaches to documentary. In 2009 he was nominated Best New Media Project at the ImagineNative Film and Media Arts Festival for his interactive DVD video project titled The Prince George Métis Elders’ Documentary Project.